Ron Dawson has dedicated over 40 years to serving clients with an emphasis on their estate planning, business succession, deferred compensation and retirement needs. He works predominately with existing clients building upon services offered by unaffiliated CPAs, attorneys, banks, and other advisors. Ron's office is located within the offices of Akin, Doherty, Klein, and Feuge in the Energy Plaza Complex in San Antonio. Ron Dawson has been recognized by numerous organizations within the financial services industry for his commitment to clients. He is a "Court of the Table" and Life and Qualifying member of the Million Dollar Round Table (MDRT), The Premier Association of Financial Professionals. Ron is also a member of the Society of Financial Service Professionals. 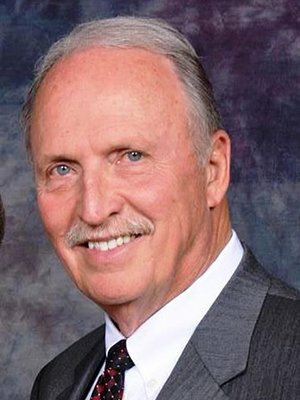 Ron is a past two term President of the Board of Directors for the New Braunfels Hope Hospice, a nonprofit hospice that provides excellence in care, comfort and education to all effected by life-limiting illness, grief and loss. He is a member of the Downtown Rotary Club of the New Braunfels current Board President of the Las Hadas Homeowners Association. He is a past Board member of Boysville, a nonprofit home for children facing challenges in their lives. In his spare time, Ron enjoys working on his ranch and commercial hunting operation. Ron is also a member of the Texas Deer Breeders Association. He and his wife Lynne reside on Lake McQueeney in Seguin, TX.